Justice v. Board of Pardons and Paroles, 234 Ga. 749 (1975). Parole Board can be sued. Milliken v. Stewart, 276 Ga. 712 (2003). 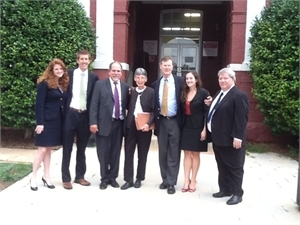 Reversal of conviction in habeas corpus proceedings. State v. Martin, 278 Ga. 418 (2004). Sucessful challenge to state's effort to remove judge who had expressed sympathy for client. Hardwick v. Ault, 447 F. Supp. 116 (M.D. Ga. 1978)Punitive prison segregation unit shut down. Dawson v. State, 274 Ga. 327 (2001) Georgia Supreme Court rules that the Electric Chair is cruel and unusual punishment. Bounds v. State, 264 Ga. App. 584 (2003). Reversal of conviction where client forced to represent himself without a lawyer. Goodwin v. Balkcom, 684 F.2d 794 (11th Cir. 1982).Reversal of murder conviction in federal habeas corpus. The content provided is to inform readers and is not intended as legal advice but as an advertisement of the services offered by the firm. 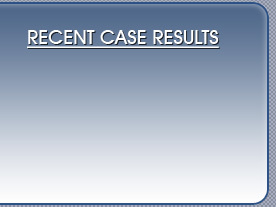 The results listed here may not reflect the results in your case should you be represented by the firm. 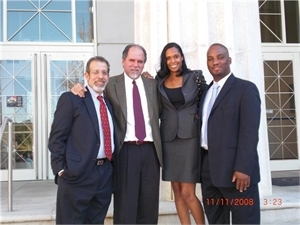 The information on this Georgia Defense Attorney / Law Firm website is for general information purposes only. Nothing on this or associated pages, documents, comments, answers, emails, or other communications should be taken as legal advice for any individual case or situation. This information on this website is not intended to create, and receipt or viewing of this information does not constitute, an attorney-client relationship.